I finished my Anna Maria Horner flower quilt! The design is simple patchwork squares mixed with a few pieced patchwork squares all hand quilted using paper templates. I hardly ever make large quilts, I did once when I first started quilting but never again since ;) This one is big enough to cover my bed nicely I didn't measure it exactly but it is about 185cm by 215cm or 74" x 86"
I used Hobbs Tuscany silk batting and Little Folks voile for backing which makes this quilt so luxuriously soft and light weight despite it's size - I absolutely love it!! 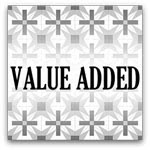 I decided to commit to a bed full of lush AMH prints and made a few folksy flannel pillow cases as well. I am thoroughly enjoying these warm and rich colours in my bedroom and all the different soft textures to snuggle up under at night. The only problem with my bed being all cozy and warm like this is I never want to leave! Thank you all for your votes I came in third in the Sew Mama Sew true love contest :) Please check back here Monday as it is my birthday and I plan on doing a little give away to celebrate. such a beautiful quilt, and cushions, too !!! What a gorgeous quilt - I love the last shot with it on your bed. No wonder you aren't keen to get up! Oh Leila, it's soooo beautiful! 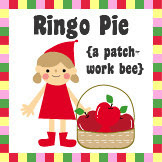 Happy birthday for Monday! Oh that is just one gorgeous bed! 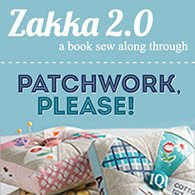 Your hand quilting is spectacular and I love it combined with the simple patchwork. So lovely. Your bed looks so warm and inviting! 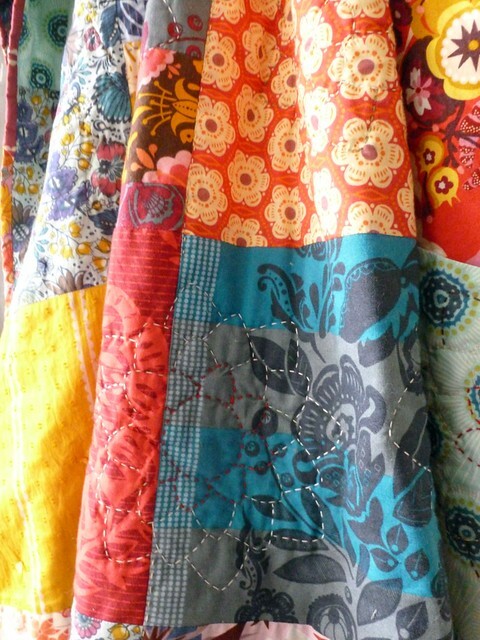 I love that beautiful hand quilting that you did...just lovely! Congratulations on the third place win! It's beautiful Leila! Great quilting too and so snuggly and warm and luxurious. Love it!! this is just plain gorgeous!!!! love every bit of it! so warm! That quilt is so rich and full of warm colors I love it. Your work is amazing. Oh Leila ... it's just how I'd imagine you in quilt form ... fantastic!! Smashing results! What a fabulours bedhead too! What an absolutely delicious quilt - it's stunning and your quilting is gorgeous. I'd definitely be staying in bed if I could snuggle in this - heaven! Congrats on 3rd place in the True Love comp! Oh that's gorgeous, no wonder you don't want to get up! amazeballs! love it! i am going to whip up some pillowcases for myself that will look quite similar to those on your bed! it's so beautiful Leila! I would never want to leave that bed either! And gorgeous quilting too. Gorgeous - you allow the fabric to do the talking and then add inspired quilting! I'd stay in bed too - can we all fit in! And the little one said "Roll over!..." What a gorgeous quilt! I want to touch it. :) Love your bed. Oh my goodness - so unbelievably gorgeous. Congrats on an amazing make! Wow, soooo beautiful! 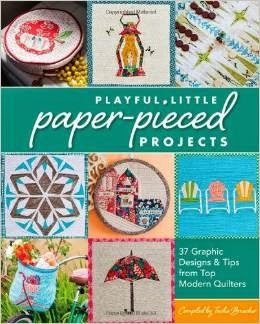 I absolutely love your quilting designs. oh it's so beautiful!! I love all the colors AMH uses, and I love the quilting design you used!! Oh, congratulations! What a stunning finish. 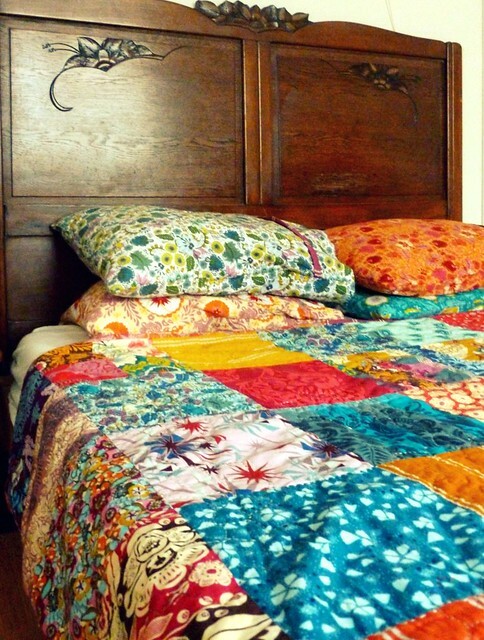 The hand quilting is gorgeous, but I especially like the picture of all the AMH goodness on your bed. Love! Your quilt turned out absolutely beautiful, Leila! I hope you are snuggled up in it and having a great birthday morning ;) Happy birthday, Leila! Not sure how I missed this one. 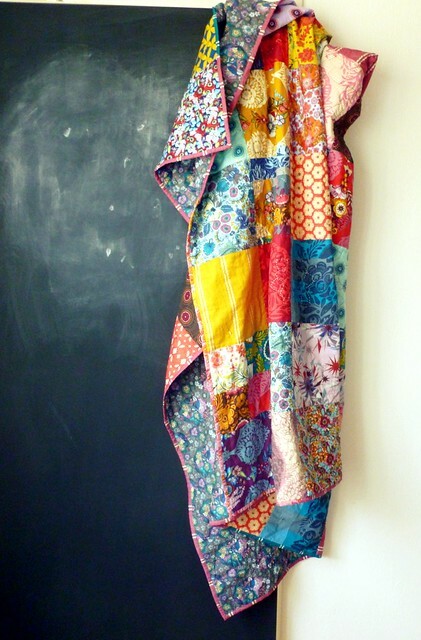 I love the colours and quilting, it looks fabulous.